Tatango was founded in 2007 with the simple goal of providing easy-to-use text message marketing software and industry expertise to agencies. Since then, Tatango has grown into the market leader in text message marketing. Through our agency clients, we now power SMS, MMS, and RCS marketing campaigns for some of the most well-known brands in the world. Tatango is comprised of a team of seasoned text message marketing experts located in Seattle. Passion at Tatango is helping agencies solve their client's text message marketing challenges, no matter how challenging. Tatango allows non-developers the ability to create virtually any type of text message marketing workflow that you can conceive. Optimize messaging with Tatango subscriber segmenting by sending specific text messages to subscriber segments. Tatango messaging analytics allows you to track the success of every single text message you send to subscribers. Tatango gives you the ability to personalize each text message marketing message you send to subscribers, by using Tatango merge tags in text messages. Use Tatango's super easy developer API to easily integrate Tatango's text message marketing software into any existing software or application. Grant account level permission to Admins, Managers, and Limited Managers based on the level of access you want users to have. Quickly and easily integrate text messaging and Tatango into any of the 20+ top email marketing software providers and CRM solutions out there today. 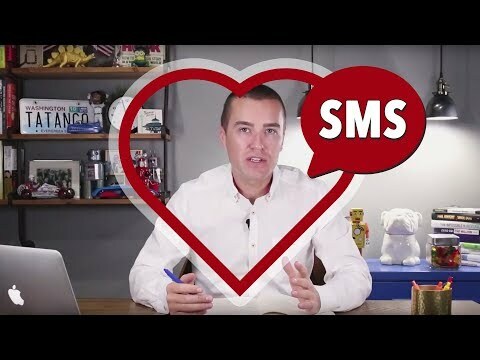 2) 90% of text message marketing messages are opened within 3 minutes. 3) SMS messages work across all devices and carriers. 4) Text message marketing messages are combined with all the other important daily SMS notifications that you receive. 5) There is almost no text message marketing spam in the United States, so open rates will stay high. 6) Lastly, you can put things like links and click to call phone numbers in your text messages, which makes it easy to track how successful they are.